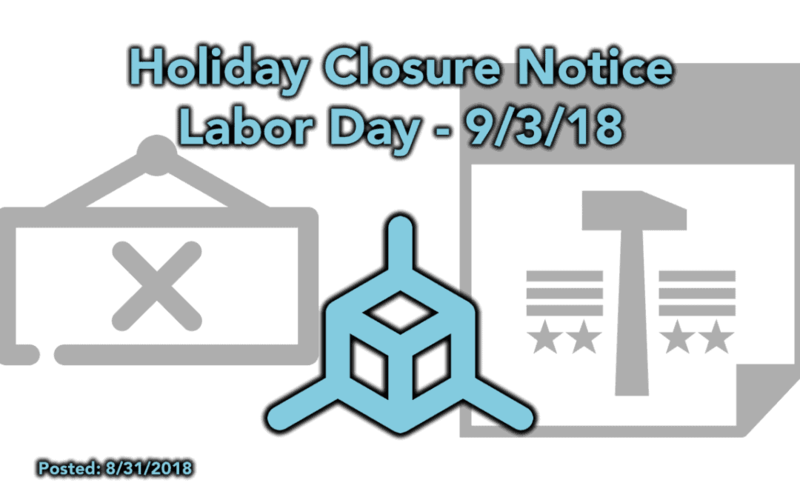 We just wanted to let everyone know we will be closed on Monday September 3rd, 2018 in observance of Labor Day. We will return on 9/4 to normal operations. Please note that due to the natural back log over the weekend coupled with Monday being closed support tickets may be delayed more than normal and orders will be delayed 1-2 days more than normal. Everyone have a great weekend and a Happy Labor Day!